These brownies are my first attempt at Gluten Free baking (other than things like meringues and such that are naturally gluten free) and I’m happy to say, they were amazing! Thanks to these I would be happy to try more gluten free recipes in the future. 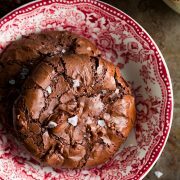 These were so good that I honestly didn’t even miss the flour, all I could think of was how fudgy, chocolaty and rich they were with those perfectly chewy edges and the crumbly shell-like top layer. 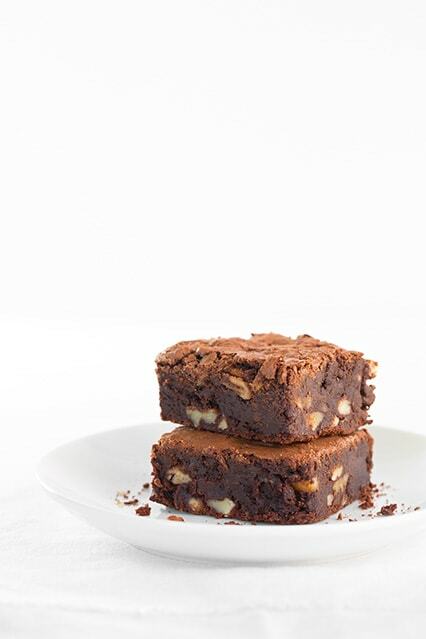 Even if you aren’t on a gluten free diet, I would highly recommend these brownies! The first day I ate them on their own and the next day I mixed them into some creamy cookie dough ice cream – it was seriously the best upgrade on store-bought ice cream (and I may have had a hard time resisting continually going back for more brownie pieces to add in, just maybe :). Because these don’t contain any gluten they do have a slightly different texture than a regular brownie, but in a very good way. They reminded me of a velvety truffle, the kind that melts away in your mouth – these are made mostly of chocolate chips after all. 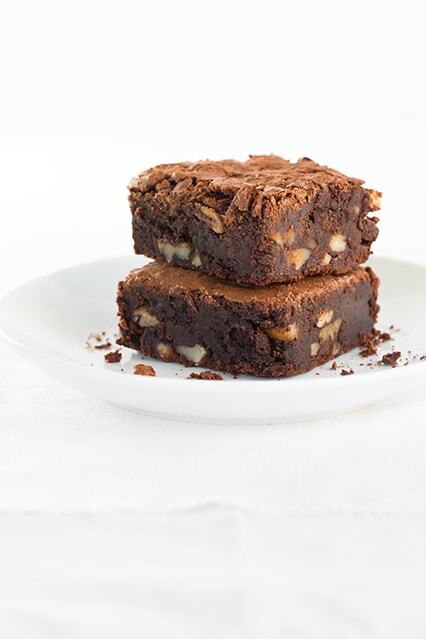 I also love the light added crunch of the pecans and the nutty kick of flavor they give compliments the brownies perfectly. 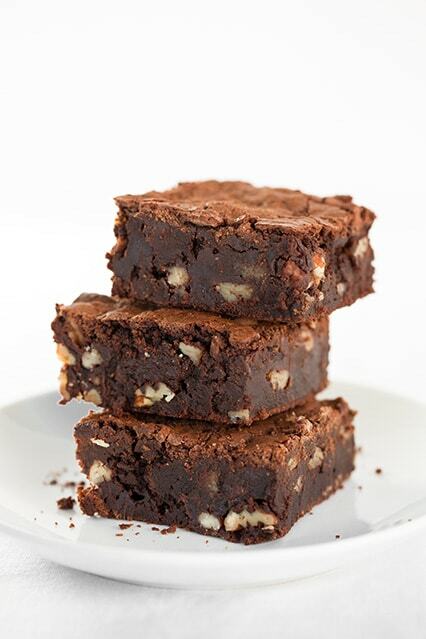 Please try these decadent brownies soon, they don’t disappoint. The perfect gluten-free brownies! They're deliciously rich, perfectly chocolate and have a great texture. Preheat oven to 350 degrees. In a mixing bowl whisk together cornstarch, cocoa powder and salt, set aside. Add chocolate chips to a microwave safe bowl, top with butter and heat mixture in microwave on HIGH power in 20 second intervals, stirring after each interval until melted and smooth. 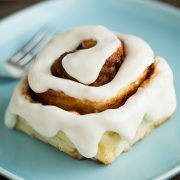 Stir in sugar, then mix vanilla and eggs one at a time, mixing until combined after each addition. Add dry mixture and stir until well blended and smooth, then mix in pecans. 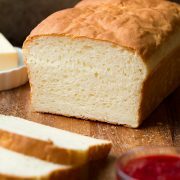 Pour batter into a well buttered 8 by 8-inch baking dish (you can also line the baking dish with parchment if desired, then pour batter over parchment) and spread into an even layer. Bake in preheated oven until toothpick inserted into center comes out with a few moist crumbs attached, about 35 - 38 minutes. Allow to cool completely then cut into squares (I found mine cut cleaner after freezing for about 45 minutes - after cooling, if you can waiting any longer).